Take a look back at some of the memorable moments from his time on the campus of Texas A&M. As former U.S. President George H.W. Bush celebrates his 94th birthday Tuesday, June 12, take a look back at some of the memorable moments from his time on the campus of Texas A&M University captured in photos. While Texas A&M University has been a popular destination for sitting presidents for more than 80 years, including when five living former presidents convened on campus for a hurricane relief benefit concert in 2017, only former President George H.W. Bush has been a permanent fixture of campus life since the opening of the George H.W. 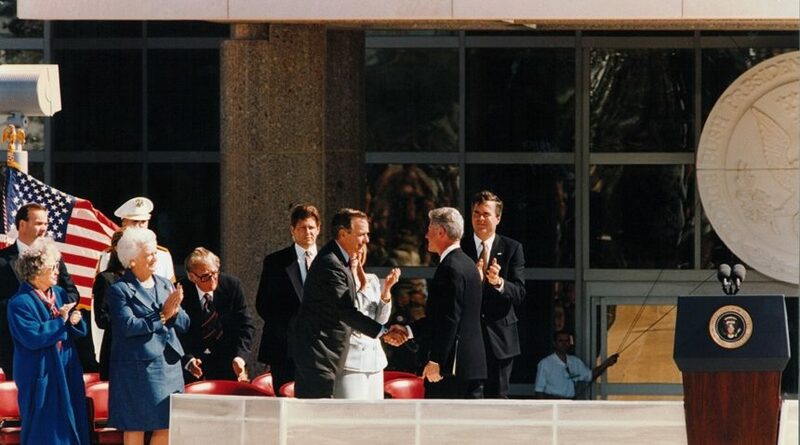 Bush School of Government & Public Service and the George H.W. 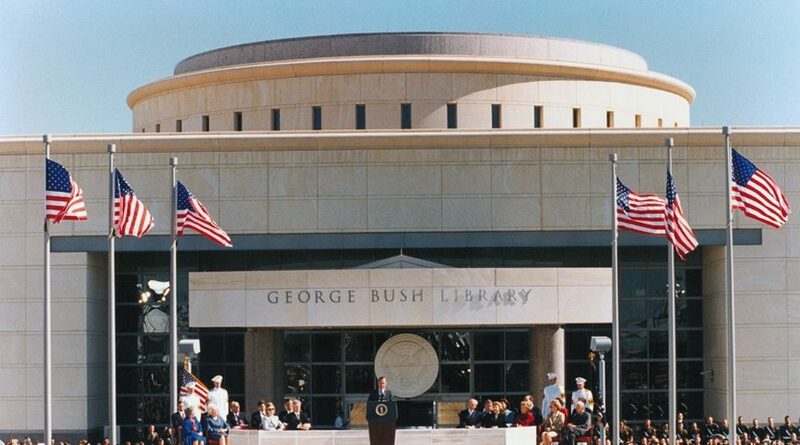 Bush Library & Museum in 1997. In addition to being a frequent surprise visitor to Bush School classes, tours through the Bush Library and panel discussions at the Annenberg Presidential Conference Center, he also has a condo on campus grounds that he visits throughout the year. Former First Lady Barbara Bush, George H.W. Bush’s wife of 73 years, was laid to rest on the grounds of the Bush Library at the family’s burial plot.